We are late for our first seasonal freeze. Even so, two freeze warnings have sent us scurrying at night to protect our sensitive citrus. The garage has held the Key Limes for close to thirty nights while our small kitchen has twice hosted our hardier citrus. Soon the run-from-the-freeze games will end and our citrus will have no choice but to take up their winter quarters on our sun porch. All the moving of heavy plants has led me to mover’s regret; I should not have moved those lovely southern belles out of their natural hot house environment. There in Lake Jackson, my citrus could have been planted in the ground to grow tall and produce many fruit. Here, the best they can become are small unmanageable container plants. I didn’t know citrus could grow so fast. Four years ago, they wore one gallon pots. And now that their feet have outgrown seven gallon pots, I’m trying to recall why I thought growing citrus in Oklahoma was a good idea. The more I garden, the more I come to believe that it’s best to cultivate what naturally grows in the place one is planted. Every part of the world must offer its own beauty. Here in central Oklahoma, I grow peonies and hollyhocks and spring bulbs like Daffodils that I had no prayer of growing in South Texas. Citrus do not belong in Oklahoma. But here I sit, mother to four citrus trees — two tender very productive Key Limes that shiver and turn blue if the thermostat drops below 48F; and two hardier citrus that have yet to earn their keep — a fruitless but very pretty Meyer Lemon and a Satsuma Orange that delivered its first ever bumper crop this season. Two oranges. The worst of my citrus blues are the aphids; — ugly, tiny, pear-shaped insects found on the bottom of leaves — after fighting these little buggers all year, I gave up in September. But now the trees look so sad I can no longer ignore them, especially those two making eye contact in our shared kitchen quarters. Today I sprayed all the clean leaves with Safer Insecticidal Spray to temporarily insulate them from further attack. Given that the soap needs to be sprayed every week, I’m planning on making my own home-made formula for the sake of convenience and cost. Then, for the rest of our unnatural shared lives together, I will give these little four-foot darlings a drenching soapy shower every week, even if they tell me they don’t really need it. So what else is a mother of four citrus in Oklahoma to do? I tell myself that the care of these citrus trees will be no different from the rest of everyday life. After all, the human experience is an around-and-around-we-go sort of existence; whether it’s personal care or our housekeeping or our gardening or our whatever, the work is never done until we’re done for. There is no other way than to sing the citrus blues. Unless. The answer is still lurking under that black sooty mold. Even now the wheels in my head are turning a different way. Perhaps I could give my cleaned up trees away — even shedding one would yield a 25 percent time savings (to me.) And after all, who needs two Key Lime trees? Wouldn’t a cleaned up but very fertile Key Lime tree make some lucky someone a mighty fine Christmas gift? I’m laughing and laughing, but only because I understand. I was given two stalks of plumeria, years ago. As it turned out, I could grow them. And grow them. They were fruitful and multiplied. At one point, I had twenty-seven pots-full, and those pots got bigger and bigger. They were so beautiful, outside my apartment, that thieves showed up with trucks and took some away. I learned that if you take a 3/8″ length of rebar, put a 90 degree bend in one end, and then drive it through the bottom of the pot with the “bend” inside the pot, you can give thieves hernias and protect your plants. But eventually I moved, and I didn’t have enough sun. Mom didn’t have enough sun. The plants thrived, but didn’t bloom. I tried moving them daily from one sunny spot to another, but the blooms didn’t come. They were sad. I was sad. There were pink and white and yellow flowers inside those plants, with no way out. One day, I was talking to the flower lady at our local Randall’s. Suddenly I asked her, “Do you like plumeria?” Yep, she did, and she had a house with a yard with a perfect place for them. Not only that, her son in Angleton had a place for them. That very day I started toting them over to her at the grocery store. Good story. And of course, I LOVE that you still do not know the name of your adopting parent. I’m laughing as I write. Great information about sooty mold. We, gardeners, always want to push our zone. I have planted lots of things which shouldn’t be here naturally for whatever reason. Roses, with all their diseases, could be part of that group. 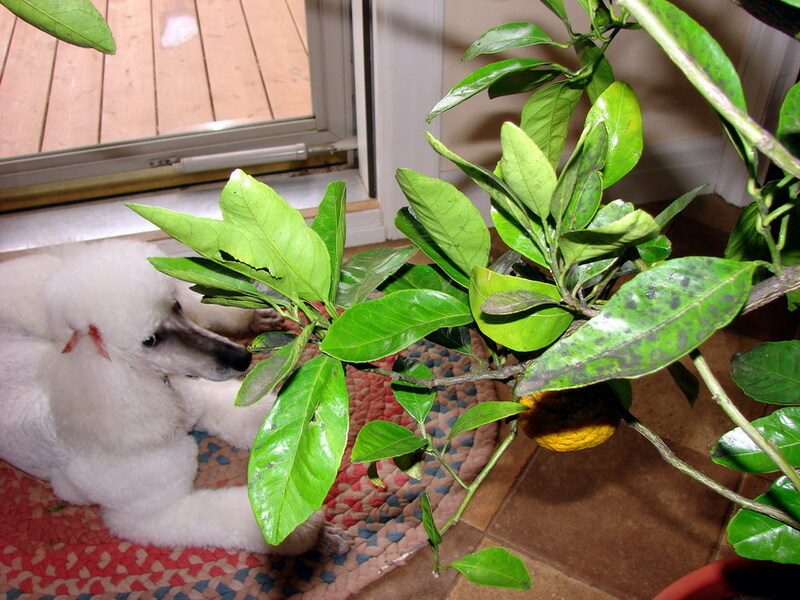 I want a greenhouse, and if I get one someday, I’ll have a lemon tree. Pot Coasters? I MUST check into this. Thanks for the idea. If you have room for a Key Lime tree in this future greenhouse of yours, you let me know girl. I know where there’s one DIRT-Cheap. I gave away a lot of my treasured plants when we left our old rectory; I had a number of citrus in pots who we had grown from pips and which lived in our massive polytunnel. They were too big to take with us to this smaller house. I also let go my beloved lemon verbenas, which I had nurtured in pots through numerous moves and have finally planted in the polytunnel. These were dug up and given away. My large myrtle went, as did the majority of my plants. Those I could not part with, like the locust bean tree grown from seed, and my dragon tree, now almost six feet high(originally obtained as a freebie from Twinings tea, then about two inches high in 1995) and some others, manage either in out unheated conservatory or in the living room. But we replaced the lemon verbena with a new small one and have bought a citrus that is small enough to sit on a window ledge, and the rosemary bush that is a scion of the original cutting I nicked from a factory hedge being too poor to buy a bush, is thriving out near the beehive. I guess the lesson here is to know when it’s time to let go. What is a polytunnel? Sure sounds interesting — as well as our your plant collection, past and present. A polytunnel is a cheaper and more practical alternative to a greenhouse; great ribs of metal support a skin of clear plastic sheeting. You can have a much bigger tunnel than you could a greenhouse and none of the safety concerns abotu breaking glass. We had a 30 footer when we left; that too we dismantled and gave away; our current garden is probably only 30 feet long in total. I checked out both the polytunnel and soapnuts. There was even a recipe for a plant wash on the website. Thanks. With your’s and Dee’s help, maybe I’ll shake my citrus blues.